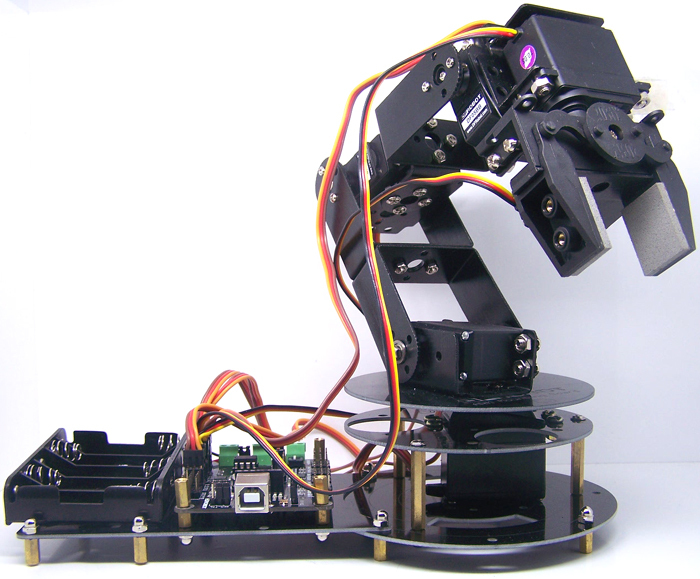 Arduino Robot is quite easy to create as the basic need are quite compact, needs not much of electronics . With $100 budget you can create an Arduino Robot. In previous Startup Guide for Arduino, we wrote about the basics about how to start a project and make it successful. The typically created Arduino Robot with a budget of $100 to $150, we usually create a typical four wheeled moving element which can be made to behave as programmed. There are lot of detailed guide are available to create an Arduino Robot. We will only point towards them and most importantly point out which are the best practices and how you should think to develop your Arduino Robot. 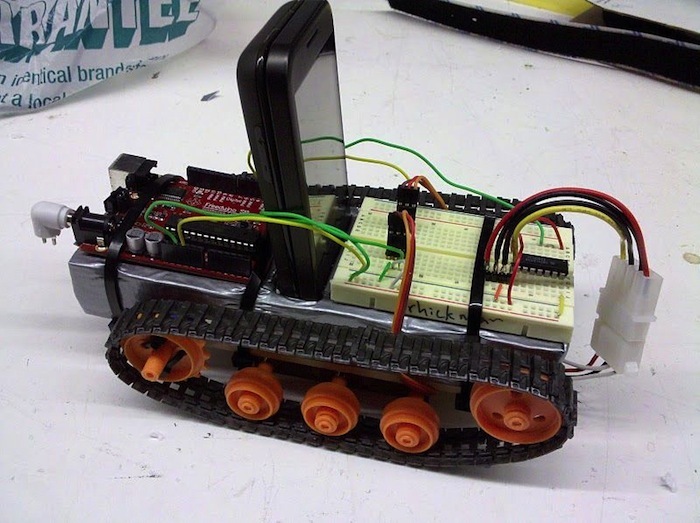 The major plus points is, this is a wireless Arduino Robot. But the list of cons are quite large. The blue-tooth actually can give the real mobility. So the way to get extra energy has to be provisioned, for example to use a dedicated for the bluetooth communication rather than using a bulky mobile, the wheels must be of light metal to ensure longer life. This is very closer to perfect if combined with the first mentioned project. You can understand, the more study of what people are doing is most important point to create a good project. This is basically nothing but more complex implementation of servo motors, mechanics, stable chassis and a good program. This Article Has Been Shared 1246 Times! Robotics With Intel Based Processor and Robot Operating System is the actual mainstream robotics. We started with Arduino Robot and now pushing the adrenaline. Router are network devices that manages computer networks’ incoming packets according to the IP addresses and either connects them or disconnects them. Databases in the Cloud is an article where the concept as well as the various types and characteristics of cloud database provides a basic understanding. SAP HANA operates solely in memory and provides the ability to get information in real-time which is a major advantage offers Cloud Solutions and database. 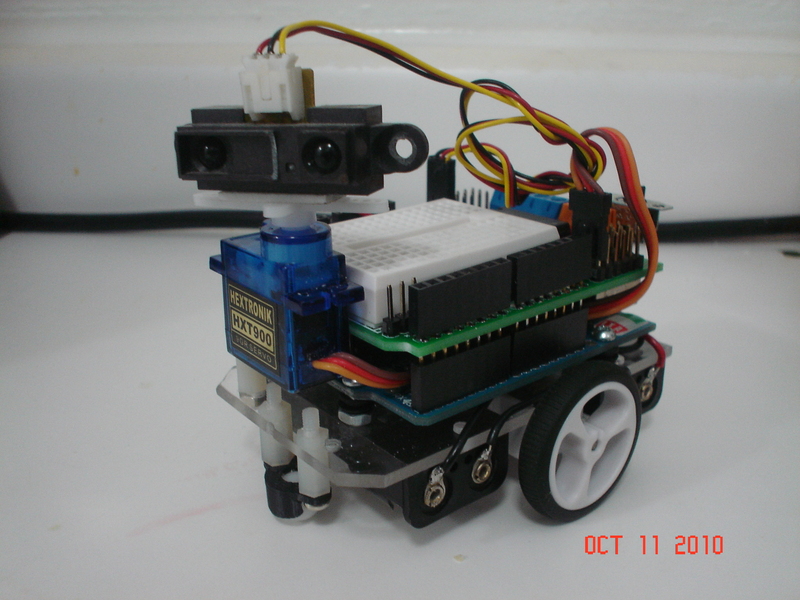 Cite this article as: Abhishek Ghosh, "Arduino Robot : Basic Guide to Create Your First Robot," in The Customize Windows, December 12, 2012, April 21, 2019, https://thecustomizewindows.com/2012/12/arduino-robot-basic-guide-to-create-your-first-robot/.